This is a round New York Worlds Fair porcelain sign. This particular New York Worlds Fair sign is white with red and blue print. 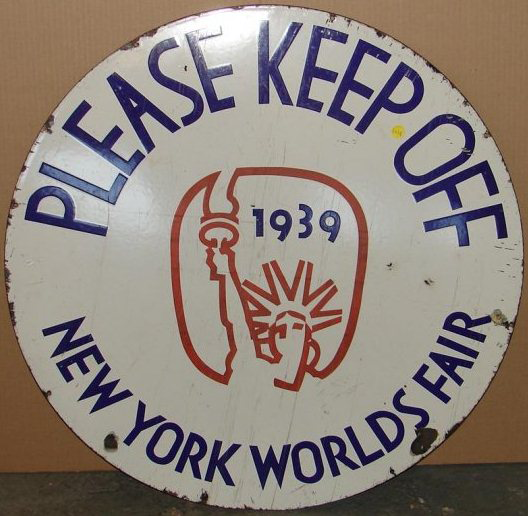 It reads, “Please Keep Off, New York Worlds Fair, 1939” and features an outline of the Statue of Liberty in the center.